Through TechnoServe's STRYDE program, young entrepreneurs are adopting new agronomic and business practices to take advantage of market opportunities in agriculture. Editor’s Note: This editorial was originally published in the World Economic Forum blog, an independent and neutral platform dedicated to generating debate around the key topics that shape global, regional and industry agendas. The World Economic Forum Africa 2015 took place in Cape Town, South Africa, on June 3-5. Young people are famous for not wanting to do what their parents do. But when it comes to agriculture in sub-Saharan Africa, this may be a serious problem. Roughly 60 percent of the population works in agriculture, but the demographic is aging rapidly: the average African farmer is between 50 and 60 years old. At the same time, the need for greater agricultural production is acute. In order to feed the projected population of 2050, global food production will need to increase by 60 percent. That’s about 2.5 million more tons of just grain alone – per day – than we produce right now. Africa is uniquely positioned to meet this challenge. It contains over half of the world’s undeveloped arable land, great potential for increased crop productivity, and a burgeoning population of young people, with all their energy and creativity. But to many of these young people, the opportunity doesn’t sound quite so exciting. Every year, droves of young people flock to the city looking for work. Of those in higher education, only 2 percent study agriculture. How can Africa’s next generation develop the tools – and the enthusiasm – to bring Africa’s agricultural sector into a new era? Good seeds and soil can only do so much if you don’t know which crops to plant, how to maintain them, or where to reinvest the profits. That’s where a little training goes a long way. In the Strengthening Rural Youth Development through Enterprise (STRYDE) program, TechnoServe’s partnership with the MasterCard Foundation, participants learn not only agronomic skills but the business and personal skills that enable them to assess, and take advantage of, local market opportunities. In Uganda, for instance, we worked with a young woman named Barbara Nantongo who struggled to provide for her three children by selling surplus yams from her farm. After STRYDE training, she realized that tomatoes had much greater market potential in her area, and invested in good seeds, fertilizer and pesticides. Barbara earned so much from the new crop that she now helps pay her children’s school fees and household bills, and even bought a plot of land for growing more. It’s also not necessary to work on a farm to earn a good living from agriculture. We teach our youth trainees to assess market gaps at all levels in their communities, with many launching businesses that support agricultural activities around them. That was the case for Rose Chepngetich, who at the age of 23 launched a small shop selling farm inputs and veterinary products in her rural Kenyan town. 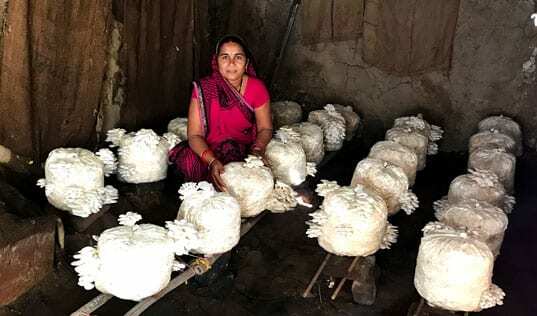 Demand was so high – and she managed the shop so well – that she was soon able to hire two staff members, pay school fees for three of her siblings, and help another sibling open her own business. 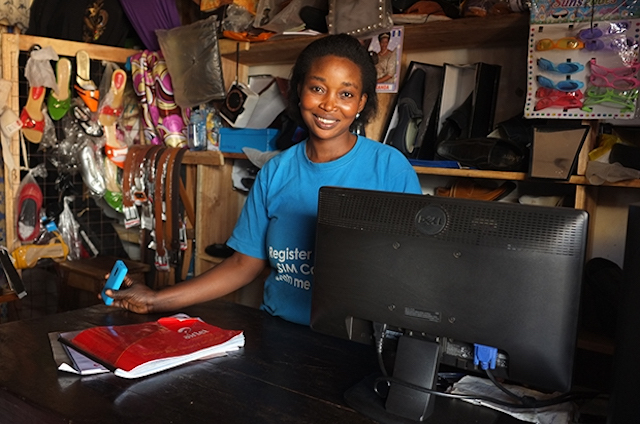 Rose is now planning to open additional branches of her shop, and saving to study veterinary medicine at university. 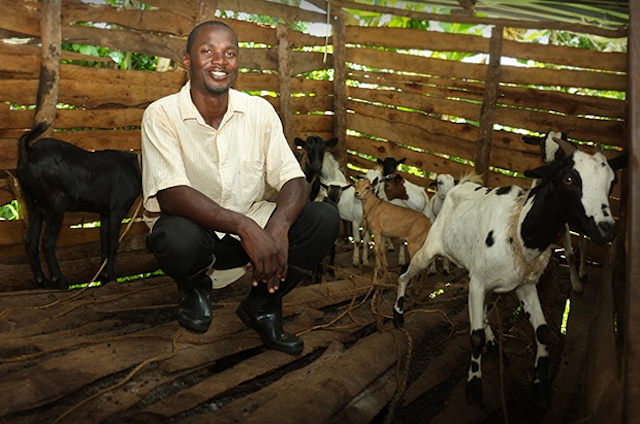 Another way to succeed in agriculture is through business groups, or cooperatives. These groups pool the collective talents of their members, and promote shared accountability and responsibility. Importantly, they also facilitate access to credit, allowing the business to expand even more and employ additional workers. In the lush hills of northern Rwanda, the Ejo Heza (or “Bright Future”) cooperative is demonstrating the benefits of this approach. This group of eight men and seven women pooled their collective savings – about $300 – to rent land in which to grow potatoes, a crop they knew had a guaranteed market. They reinvested the profits from their first crop, and developed a regular market with the Rwanda Agricultural Board. They now employ about 30 other young people during harvest time, and are expanding their cropland with a sizeable loan. With the right tools and training, the continent’s young people can play a critical role in transforming this sector into the engine of Africa’s development. These kinds of results are not unusual. STRYDE participants have increased their incomes by an average of 233 percent , and 70 percent now report saving money regularly (as opposed to 10 percent before). This shows that agriculture itself is not a dead-end road for many young people in Africa today, but – with the right training and creativity – can actually be a path out of poverty. Even the high-tech promise of the big city, often so attractive to young people, is starting to infiltrate the sector. Programs like the Connected Farmer Alliance use mobile apps to help farmers work with agribusinesses on a large scale and offer an array of digital financial services. In the coffee sector, “SMS bookkeeping” systems allow market players like banks, roasters, exporters and cooperative leaders to communicate and track projects more easily, unlocking expanded capital and market opportunities. Of course, significant challenges remain in realizing the full potential of Africa’s agriculture: access to finance, land rights, and women’s empowerment are just some of the critical issues to address. But with the right tools and training, the continent’s young people can play a critical role in transforming this sector into the engine of Africa’s development.